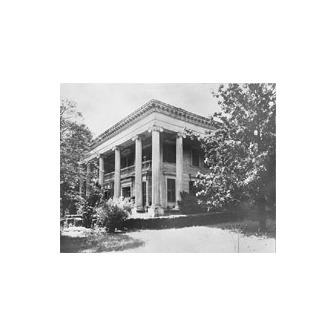 This Greek Revival mansion was built 1853 to 1855 by Benjamin Harvey Hill for his wife, Caroline Holt Hill. Senator Hill served in the Georgia Legislature, Confederate Congress, and U.S. House and Senate. He was arrested at Bellevue in May, 1865 along with Stephen Mallory, Secretary of the Confederate Navy. The stately antebelllum home, located in the heart of LaGrange, Georgia, at 204 Ben Hill Street, is listed on the National Register of Historic Places and is designated a National Historic Landmark by the National Park Service, U.S. Department of the Interior. One of the finest examples of Greek Revival architecture in the state. The exterior features ionic columns across wide porticos. Inside, massive carved wood cornices grace the doors and windows, while black Italian marble mantles and plaster ceiling medalllions enchant all who visit. Upstairs, a half-tester bed and a collection of period pieces and family mementos are on display. The home is furnished in the style of the 1850's. Shown here are the portraits on display of Senator Hill and Mrs. Hill. Bellevue was purchased by the Fuller E. Callaway Foundation and presented in 1942 as a gift to the LaGrange Woman's Club to be used as a clubhouse. First renovations were completed in the 1950's when the club began meeting here. The house continues to be under the care of the Woman's Club. 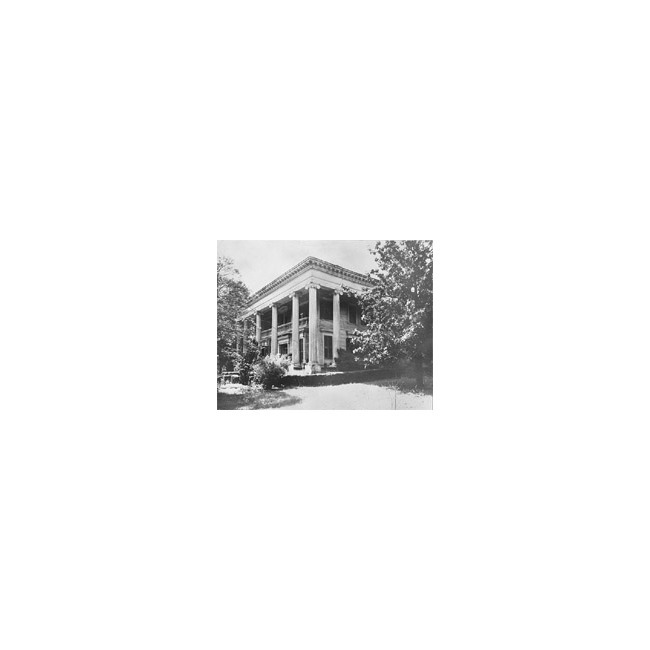 Funds for maintenance of this historic home come from guided tours, event rentals, projects of the LaGrange Woman's Club, and donations from individuals and organizations. The house is included each year in the Tour of Homes as part of the LaGrange Hydrangea Festival.